Welcome to Edmonton—Alberta’s capital city! 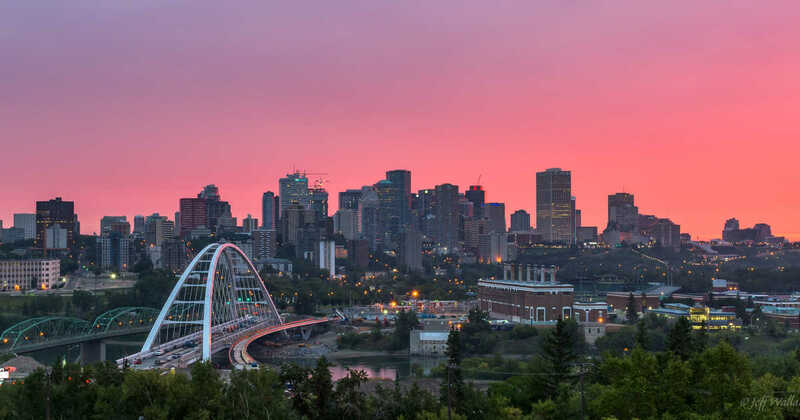 Edmonton is the second largest city in Alberta but ranks as one of Canada’s fastest growing cities with an expanding population of over 932,000 people. Much like the city itself, Edmonton’s real estate is incredibly diverse. Residents can find a range of single-family homes, townhouses, condos, duplexes, and luxury estate homes in multiple unique neighbourhoods throughout the city. Edmonton is also bordered by multiple smaller cities, including Sherwood Park, St. Albert, Spruce Grove, and Leduc. Nature is at the forefront of life in Edmonton as the North Saskatchewan River weaves its way through the city, giving residents access to breathtaking views, incredible recreational trails in Edmonton’s river valley, and various pristine parks, including Hawrelak Park and Rundle Park. On top of the plethora of festivals hosted in the city, Edmonton also provides residents with permanent entertainment facilities, including Rogers Place (home of the Edmonton Oilers) and Commonwealth Stadium (home of the Edmonton Eskimos). Fort Edmonton Park, the Edmonton Valley Zoo, West Edmonton Mall (North America’s largest shopping mall), and the Telus World of Science are among Edmonton’s most popular attractions. Culture, entertainment, nature, and more are only steps from your back door in Edmonton!